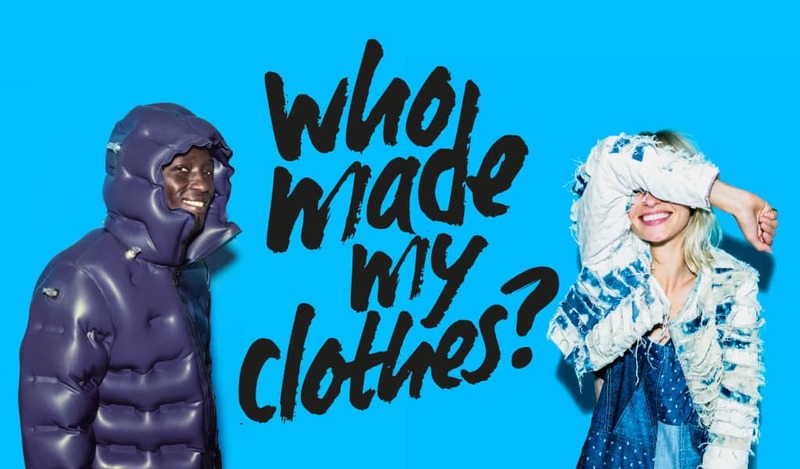 Who made your clothes? If the people in my household are anything to go by, it’s a question most don’t think about much. My father said ‘machines,’ my mother said ‘people in other countries,’ and my sisters both answered with brand names. According to Behind the Barcode, a fashion industry report conducted by Baptist World Aid Australia, up to half of fashion companies don’t even have a great answer to the question. But designers Carry Somers and Orsola de Castro think it’s something we need to consider more and increasing numbers of us agree. So much so, that a Fashion Revolution has been born. For anyone unfamiliar with the history of the Fashion Revolution, it has been held from April 18th -24th on every year after the Rana Plaza disaster on April 24th, 2013 that killed 1,134 garment workers. 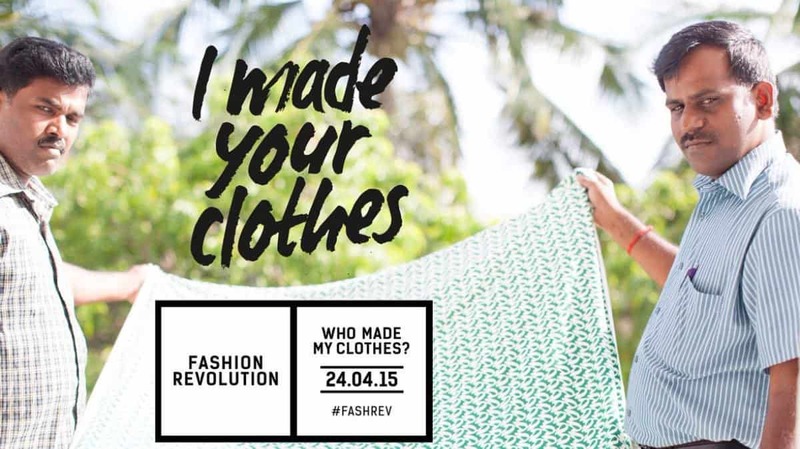 Fashion Revolution Week has called on people from around the world to bring attention to the plight of poorly paid workers who are making our clothing in dangerous factories by encouraging fashionistas to post pictures of themselves on social media with the hashtag #WhoMadeMyClothes. The hope is that this will be answered by another hashtag by brands, retailers, factories and designers, who answer: “IMadeYourClothes”, thus not only raising awareness of the fact that clothing is made by (often poorly paid) human beings, but also bringing those people in contact with the consumers of clothing, potentially even creating a dialogue with them. De Castro fears that fast fashion and its related marketing campaigns have created the illusion that clothing is somehow made without a human cost. But increasingly rapid turnovers, planned obsolescence and cheap prices all lead to a poisonous supply chain that negatively impacts not only the workers who make our clothes, but the planet, too. 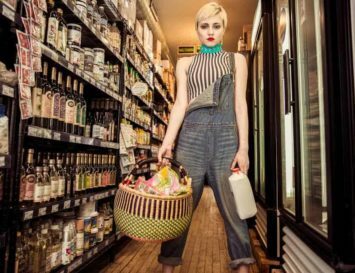 The age of the internet has only made things worse with young women taking selfies of themselves shopping and wearing new outfits and worse: the booming popularity of the ‘haul video,’ in which influential bloggers boast of the bagfuls of cheap tat they’ve just bought at fast fashion shops. 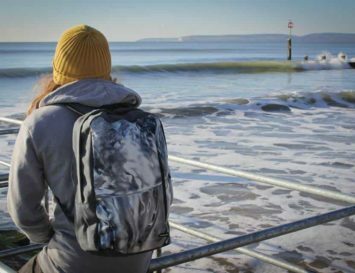 To counter this, Fashion Revolution is now encouraging vloggers and bloggers to do #Haulternative videos, whereby they show their long-standing favourite outfits, clothing they’ve swapped, upcycled or had fixed. #Haulternative videos created last near by top YouTube haul vloggers Noodlerella, CutiePieMarzia, and Shameless Maya garnered almost 2 million views; this year, even more mainstream vloggers are expected to participate, as well as famous eco fashion vloggers like Kristen Leo. But while social media is an essential aspect of the Fashion Revolution, there are myriad other events going on too, including a various pop-up stores, film screenings of Andrew Morton’s film, The True Cost, a film festival in South Africa, a fashion flash mob in California, a question period in the Houses of Parliament, London, and a three day conference in Madrid. Even bling bling capital of the world, Dubai, will host a Fashion Revolution seminar thanks to organiser Ayesha Siddequa. 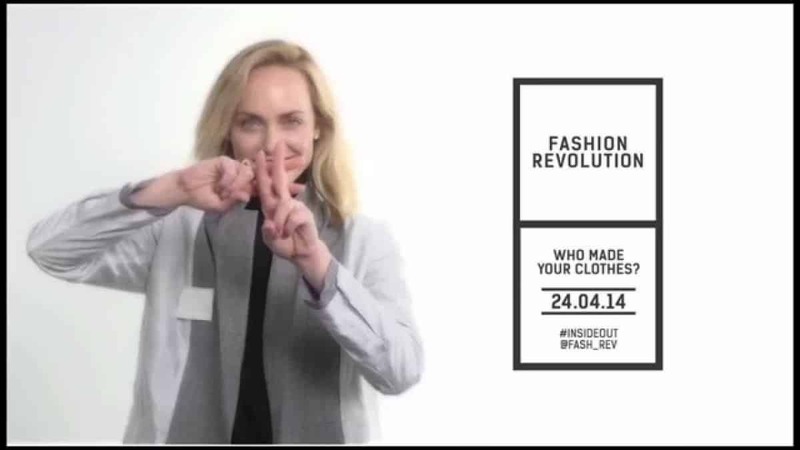 Loads of celebrities, including Amber Valletta, Livia Firth, Mary Portas, Gwyneth Paltrow and more will be participating in #FashionRevolution events, as will various designers, including Sohad Acouri, Honest By Bruno Pieters and Stella McCartney. 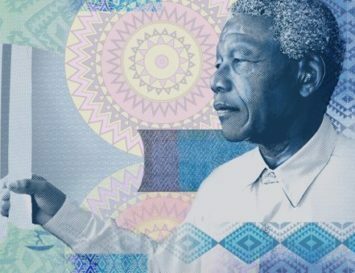 Fashion Revolution will be launching its inaugural “Transparency Index,” an assessment of the supply chains for 40 leading fashion brands that will help consumers choose better when they make sartorial decisions. Who knows? If the revolution keeps gaining momentum like this, in a few year’s time, not only will we all be able to answer the question: Who Made My Clothes, but we may even be following them on Twitter. M&S burkini: Symbol of oppression or good business sense?